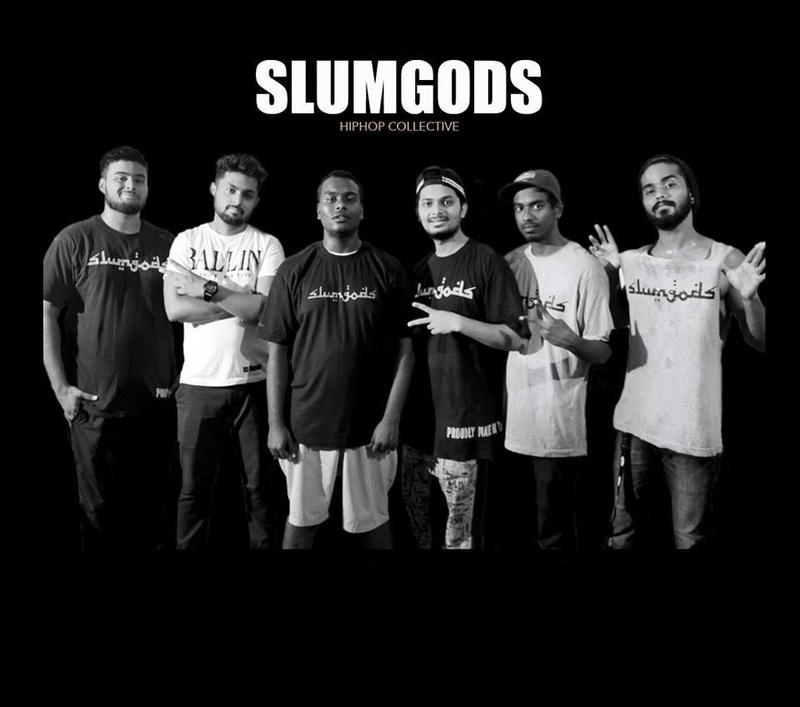 SlumGods And Bombay Lokal Bringing Real Hip-Hop Back To Mumbai Streets! OUT NOW - BEG And KKG Cause Mayhem In "Repeat"! Shah Rule And D'Evil Unleash The 'Psycho' In Their Latest Drop! 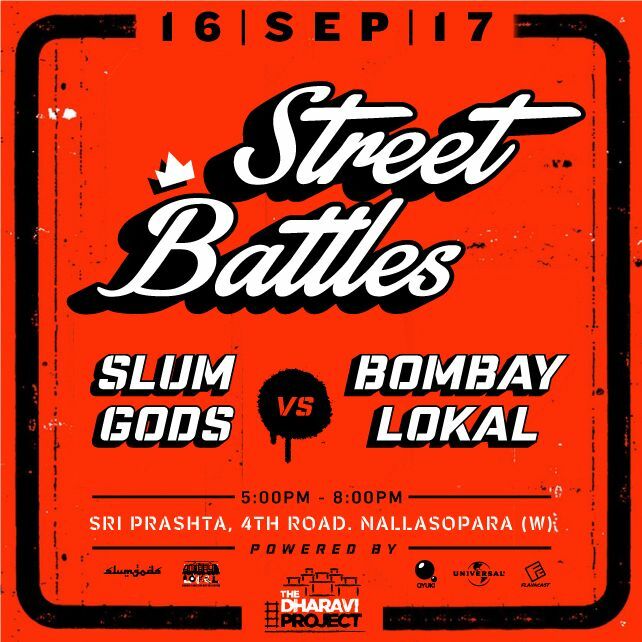 Mumbai city’s renowned Hip-Hop collectives SlumGods and Bombay Lokal will soon face each other in a street battle. While we have all the inside scoop about this event, there is a very important back story behind the whole event. In the outskirts of Mumbai, Nalasopara, formed the hub of skilled artists, especially Hip-Hop dance groups like “Rohan & group”, “Fictitious group”, “Kings United”, and so on. Soon, these exceptional dancers started appearing on national TV. They featured in dance shows like Dance India Dance, India’s Got Talent to name a few. Soon, new artists followed with a mind-state that it was okay to sacrifice culture for fame. Most new artists look at fame as an opportunity to make money which, in a way, might not be a bad thing. But this compromise is a reason that the Nalasopara region, having hard-working artists failed to give rise to a strong hip-hop scene. This compromise was not profitable for both the existing and upcoming artists from there. India’s first Hip-Hop collective – SlumGods – aren’t new to organizing street jams and cyphers. SlumGods were conducting street cyphers in Mumbai back in 2014, when people were just getting acquainted to the sound. 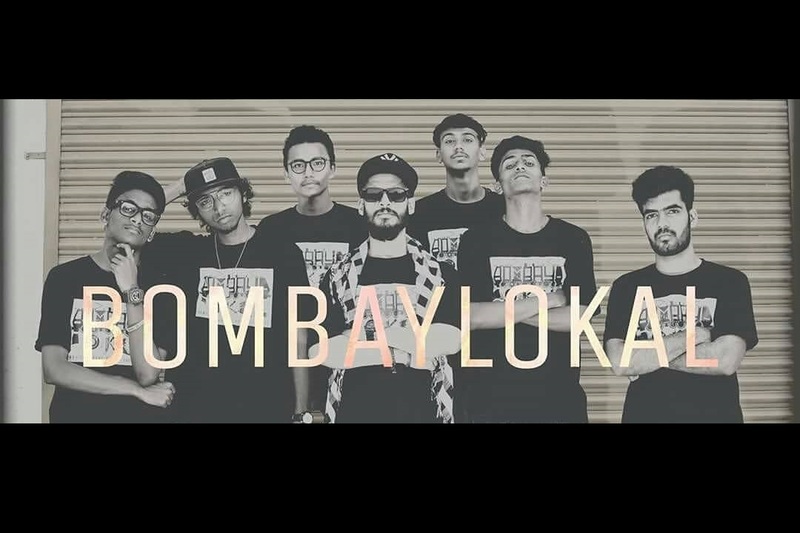 Bombay Lokal is the newest Hip-Hop collective to raise awareness about the Hip-Hop culture. They recently organized a street cypher in Nalasopara, which had a huge turnout. Unfortunately, police intervention brought this jam session to a halt. The founder of the SlumGods collective – Bboy Akku spent a part of his childhood in Nalasopara. It was only a matter of time before Bboy Akku contacted Bombay Lokal about conducting a street battle between the two collectives. This stands as a chance for Shaikhspeare (of Bombay Lokal) to represent Nalasopara and to allow the vicinity to get a glimpse of real, raw, uncut Hip-Hop. No fancy lights, no ambience, no microphones, all skills! On 16th September, 4pm onwards, Nalasopara will witness a new beginning. Artists will get a glimpse of the roots of Hip-Hop. This event is an open invitation to all hip-hop artists in and around Mumbai to cypher together. It is also a face-off between two generations of Hip-Hop collectives. This time the crews have not only taken police permissions, but also have the equipment to cypher in peace. This is hip-hop at its purest form and the cyphers charge no entry fees too! Q1. SlumGods and Bombay Lokal both pride themselves on being diverse Hip-Hop collectives rather than just a crew, what crucial factor do you think binds a collective? How is this different from a crew? Shaikhspeare (Emcee – Bombay Lokal) – In essence, the term “collective” is broader than “crew” because a collective is not just a group of artists who perform together, but it’s the collection of elements of hip-hop with the artists representing them. Unlike crews, collective members do not necessarily need to be only associated with the collective. For instance, some of the collective members in both Slumgods and Bombay Lokal are part of other crews as well but are still committed to their collectives. Akku (BBoy – SlumGods) – Love, peace, unity and respect are the most crucial things that bind us. In a collective, when we work on different elements of Hip-Hop there needs to be love to give towards our elements and crew too. Only then can we call ourselves a prospering Hip-Hop collective. As a collective, we need to be responsible and send the real message to the people. This is what separates us from the mainstream. Q2. Hip-Hop started out with different crews facing off during block jams. This led to the expansion of the culture, seeing that there were more eyes on the performers with each event that took place at the time. How do you think this applies to OUR generation, with the internet being freely available to broadcast such sessions? MC Heam (Emcee – SG): I think the art needs to be perfected first before we focus on the people tuning in. Today’s technology has made it easier for our voice to spread across continents and I think there needs to be a unique message within that voice for us to make an impact. Gravity (Emcee – BL): It’s quite similar but dramatically different too. Similar because the hustle is still the same as Hip-Hop is in its growing stage and has not yet seen the boom in India. Different, because we definitely have the advantage of modern technology and the internet which gives us a bigger platform to display our skills on a much larger scale. Q3. SlumGods being India’s first ever Hip-Hop collective and Bombay Lokal being the most recent formation, what do you feel is much more necessary for growth – competition or collaboration? DCypher (Beatboxer – BL): Both are equally important. Being competitive and taking part in different competitions gives you an idea of the current level of the scene and the challenge of working on new material. Collaborating with another artist helps us to exchange ideas and explore more ways of learning. SphereFX (Beatboxer – SG): Collaboration any day because that is what gives an unlimited vision of expanding. It promotes the art in a big way. Competition should be just treated as fun and as an entertaining factor. The battles must stay within the ring. No hard feelings should be involved. Q4. Both collectives have organised street cyphers and performed at various venues. Which feels better, a street jam or an organised event at a venue? Shaikhspeare: Most of the hip-hop heads that I have known or met agree that it is more fun to be part of street jams as they are more open to people. Most people can join in with the fun, rather than just being spectators. Especially when it comes to making the street culture reach to both the hip-hop audience and non hip-hop audience, streets jams are the best option. HHB: I agree that street jams or street battles are the better option of the two. But it really depends on each event or each cypher session. With street battles or jams there are many things to observe all around you even as a producer. I also rap to the tunes a bit when I feel like it. With venues, the best thing for a producer is to vibe with his own sounds and other producers’ sounds in their entirety. Q5. When face-offs like this happen, what is the key to being ahead of the game? Freestyle or a well-practised set? Akku: In a street battle, it doesn’t matter if its a practiced set or a freestyle. What matters is originality. Be real and keep it real, that is the key. Shaikhspeare: I feel, it’s a mix of both that works best. However, practicing to freestyle is a better option as you are uncertain about what is going to happen in battles. Q6. A cypher session tests the ultimate skill of all crew members and their grip on the artform/element. Who do you think will come out on top this time? Place your bets! Shaikhspeare: Of all the battles that I have been part of , it is really hard to place your bets. I have seen unexpected people coming out stronger. We are up for a healthy competition. No matter who gets to stand out at the end, it is Hip-hop that is going to win! Akku: Its really hard to say. Both sides have great emcees, bboys and beatboxers. All I know is we’re going to have a lot of fun! Click HERE know more details about location and timing of the event! Entry is free for all!